His jokes, his turn of phrase. The goofy way he did things. 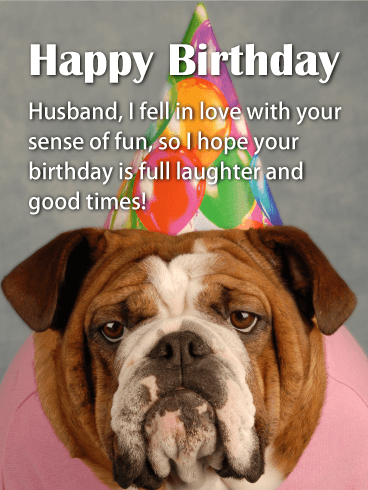 Your husband wooed you with humor, so make him laugh this funny dog card! Your relationship has been built on sharing smiles, sharing jokes, making each other feel happy and exhilarated. 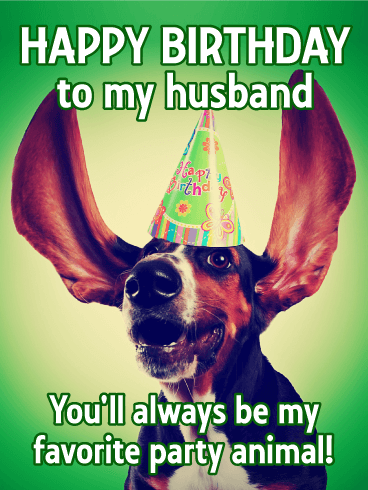 Continue the tradition on your husband's birthday by making it a festive day full of everything he loves! 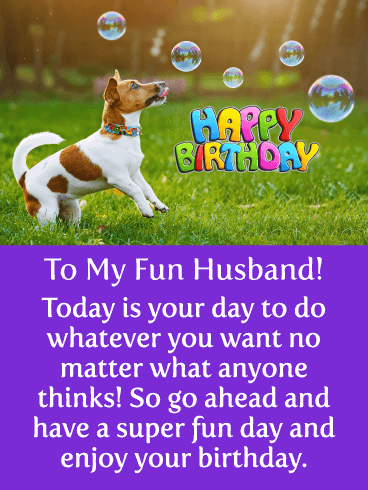 No one can resist a cute puppy, not even your husband! 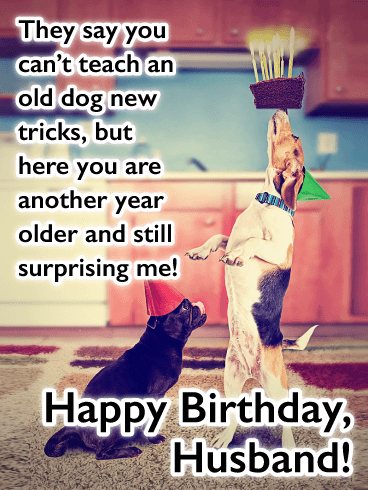 Especially one wearing birthday glasses, so adorable! 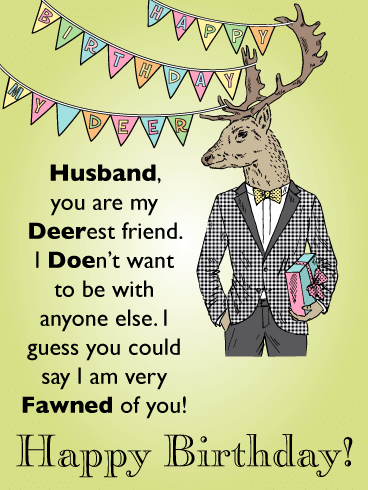 This happy birthday card will bring a smile to your husband's face on his special day. 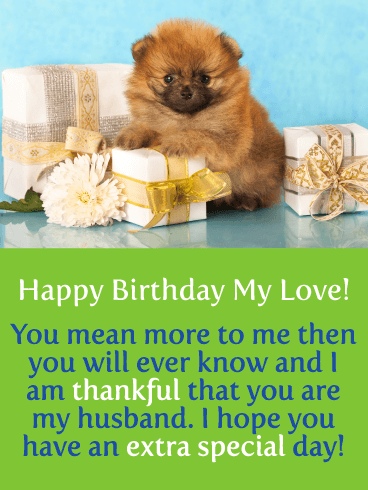 It features bright blue and orange colors that match well with the joyful message this happy birthday card is portraying. 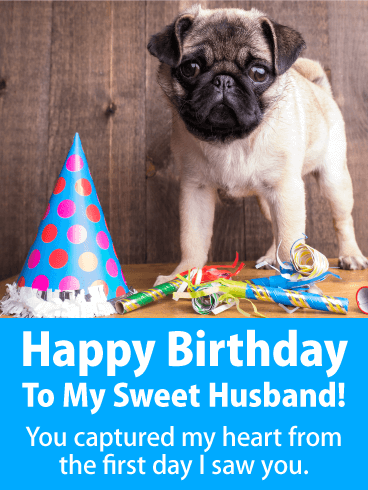 Let your husband know that he has captured your heart with this sweet happy birthday card. It will surely make his day. 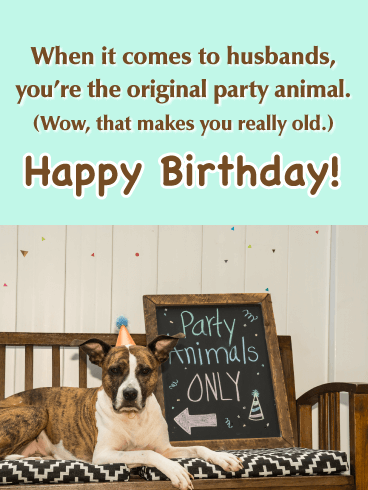 This hilarious birthday card for your husband is a fun way to remind "your favorite party animal" that today is a day to celebrate! A cute pooch with his ears upturned and a colorful hat on his head will get him into the spirit, as he surrounds himself with all the people and things he loves!